I've really enjoyed how NinjaTrader indicators mimic Google or Apple "apps", in that the community is always growing with many valuable "apps"/indicators for NinjaTrader indicator users being free. 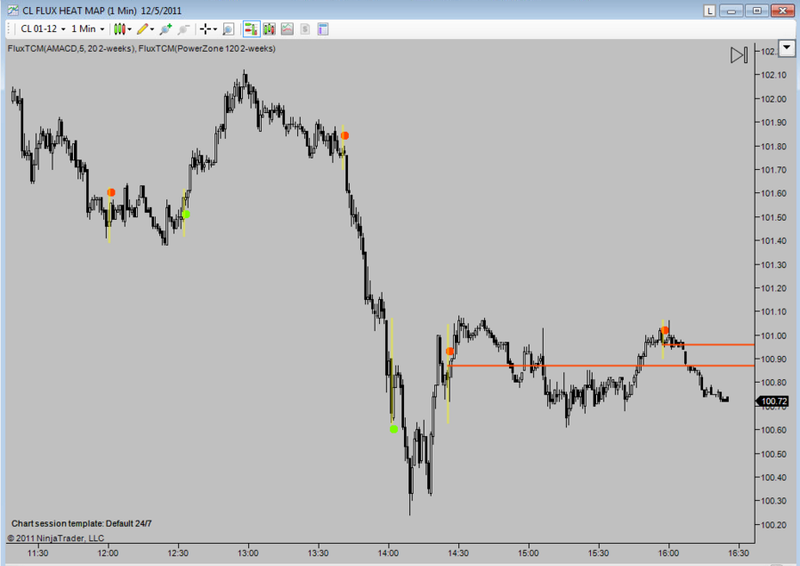 Many are just only slightly better than what you get from the default NinjaTrader indicator list. But occaisionally, you come across one that makes your heart skip a little beat. That one indicator that has the potential to unlock that last little tumbler you've been looking for to help you get to the next level of your trading. The one you save on multiple hard drives so you won't lose it - especially if the original author smartens up and takes it down off of the website. For me, that one indicator was the "Divergent Input Series" indicator, written anonymously for the NinjaTrader community. The Divergent Input Series indicator - at first glance, is very normal, and very simple. Some of it's results are fairly ho hum, in fact. 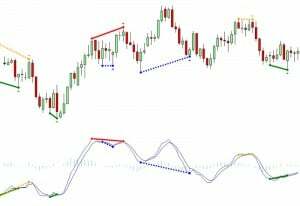 Most traders have been taught to look for divergence from their very earliest days of trading. Divergence, simply put, means if price is going down, and your other oscillating indicator is going up - you should fade the move. Or, if price is going up, and the secondary oscillator is going down, you should similarly fade the move. 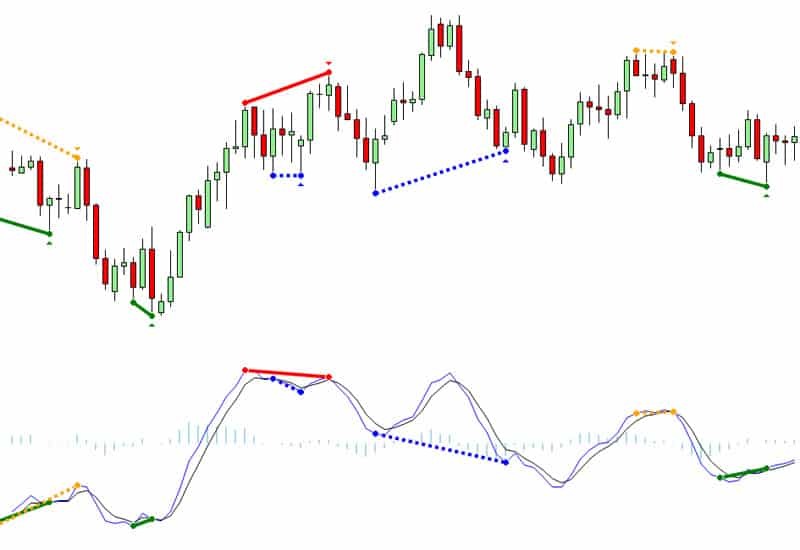 Most people apply these types of indicators to standard things like MACD, RSI, or STOCHASTICS - indicators normally found in the NinjaTrader indicator default list. 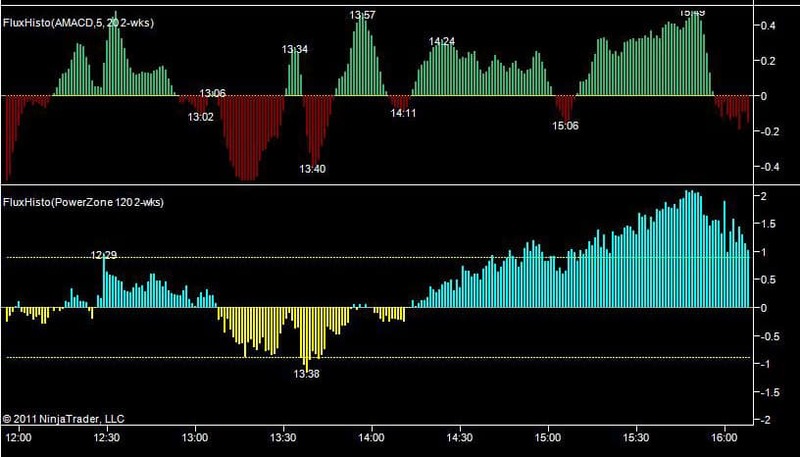 But when you get the Divergent Input Series indicator, you notice that you have access to EVERYTHING in the Ninjatrader Indicator list to reference as a secondary oscillator. I've noticed that one of those tools works best, when applied to this tool - and it's not what anyone would ever usually think to apply. 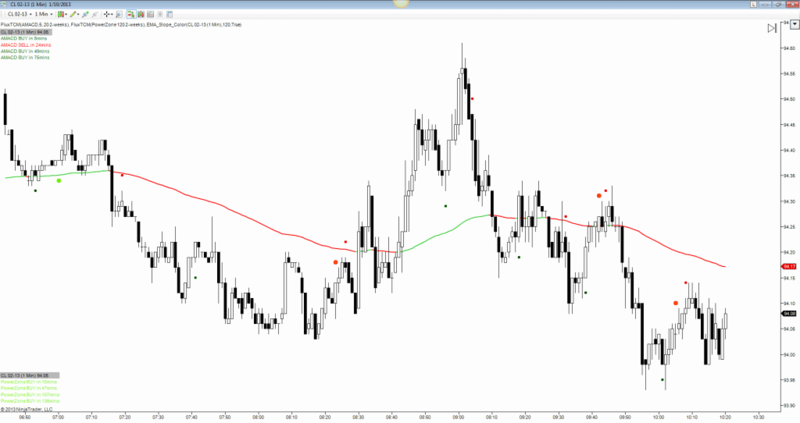 It's the "VOL" indicator from the NinjaTrader indicator drop down list. When you use these two things together - you essentially have a powerful volume spread analysis tool - for free. Most VSA programs cost upwards of a thousand, or two thousand dollars. Their job is to show you when volume is doing something different, relative to price action. As you can see - when you're filtering against trend, you find virtually every "peak pullback" before the hammer comes down - or before the next launch up as the institutions sell or buy into the pullback. See, you can't "hide" volume. It's one of the purest, most predictive tools you can watch - and when analyzed against price action becomes a deadly leading predictive indicator. I've uploaded the indicator file, along with the template you need to recreate the charts I've created here in a Dropbox download link. I put it in the area of our website we call "NinjaTrader Unplugged" where we give away indicators and templates that help traders do more with their base platform - using standard and free NinjaTrader indicators to help them get their trading up off the ground. If you have any questions about this indicator, or the template files I've uploaded, you can email me at michael@backtothefuturetrading.com, or hit me up on Skype, at "Integra-Michael". 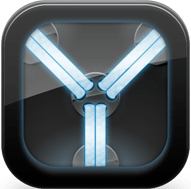 Let me know how you like the tool, and if you use it successfully in your trading! Most traders search for a "traditional" strategy when in pursuit of profits. After about 6 years of conversations with futures traders - both struggling and profitable - I've discovered a few things when it comes to building a successful trading strategy using NinjaTrader - or any other platform for that matter that are important for consideration. "......you purchased a program or a strategy that worked really good for a short amount of time....say 3-5 weeks or months, and then the results just started falling apart when the market conditions changed....a method or a strategy that was undeniably profitable was after a point seemingly incapable of being profitable...."
Seems like many traders have been there, and have had that experience. I've learned a few things after talking to the guys who persevered through that experience, and here's what they've all said (more or less). I've worked with professional NinjaTrader strategy programmers, professional traders, and even the lead tech's at NinjaTrader corporate and there's been one commonality when it comes to the question, "what does a successful NinjaTrader strategy or methodology look like?". Everyone says the same thing - the most profitable traders have the simplest strategies. In even more specific terms, they have fewer than 3 indicators working simultaneously to determine their entries and exits. ".....We also prefer the complex and artificial to the simple and unadorned. We are certain that investment success requires an incredibly complex ability to judge a host of variables correctly and then act upon that knowledge..."
"Overly complicated systems collapse under their own weight and the technical trading tools must be selected carefully. Similar to the writing process, perfection in trading systems 'is achieved, not when there is nothing more to add, but when there is nothing more to take away.'" As can be seen, there is a only a marginal increase in profitability from a 'complexity level 2' system (68%) to a complexity level 6 trading strategy (71%). 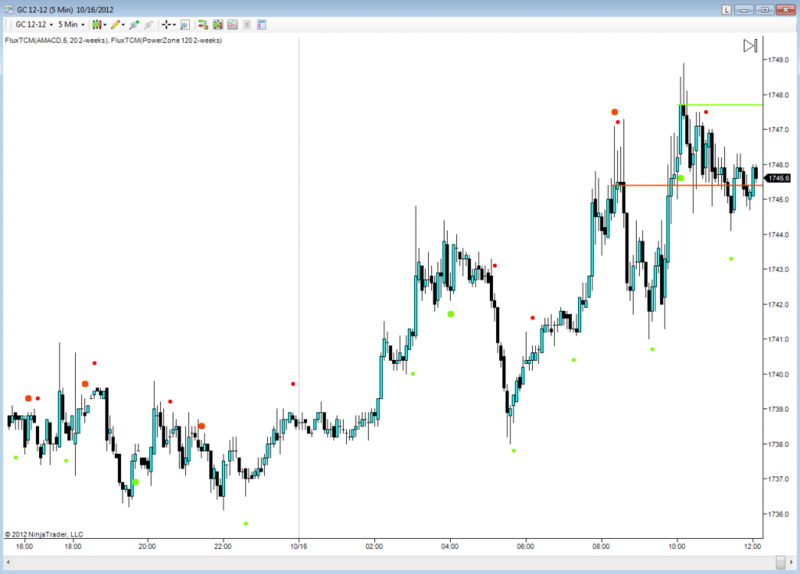 The author concludes in his thesis that phrases like "the trend is your friend", and "keep it simple, stupid" are to be applauded when constructing a strategy - in NinjaTrader or any platform for that matter. Across the board, traders will confess that their "secret ingredient" is one that allows their strategy or methodology to change as the conditions of the markets change. Some traders call this a "dynamic" trading system, as the system itself changes over time. 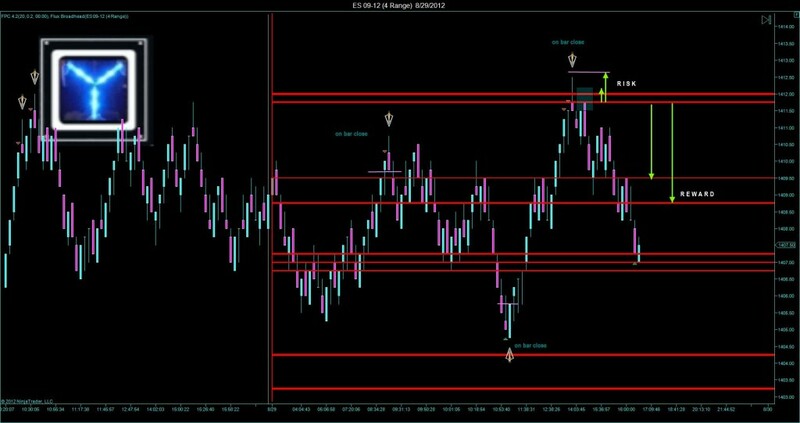 In this dynamic example using NinjaTrader indicators, we see the use of the Average True Range for both stops, and targets. 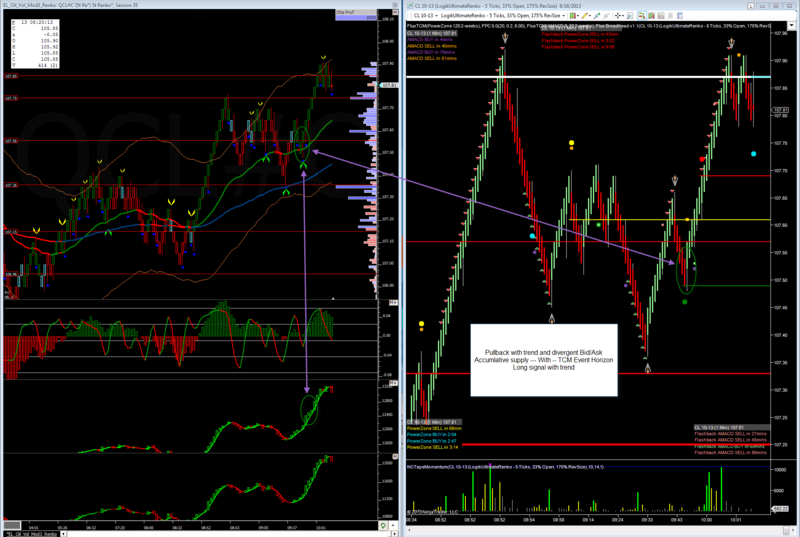 The trail stop (green triangles) is following a 2.786 ATR value away from price action. 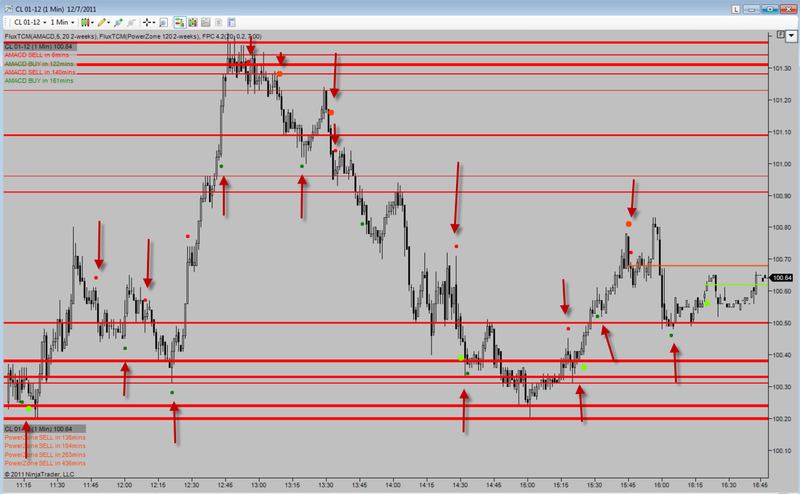 The targets, once the trend trade is entered is 3x the ATR, and then 6x the ATR. Note how the ATR values change throughout the trading day - allowing the trader's system to flex as the market volatility increases, and decreases. In their paper, "Mapping the Intraday Price Movement in the S&P Index" , technicians constructed a relatively fine resolution (60 minute increments) study of positive (bullish) and negative (bearish) behavior. When we first look at this study, you'll note that there is a significantly large number of positive periods in the ten o'clock hour, as well as in the four o'clock hour. The majority of the returns from the ten o'clock session come from the pre-market session. 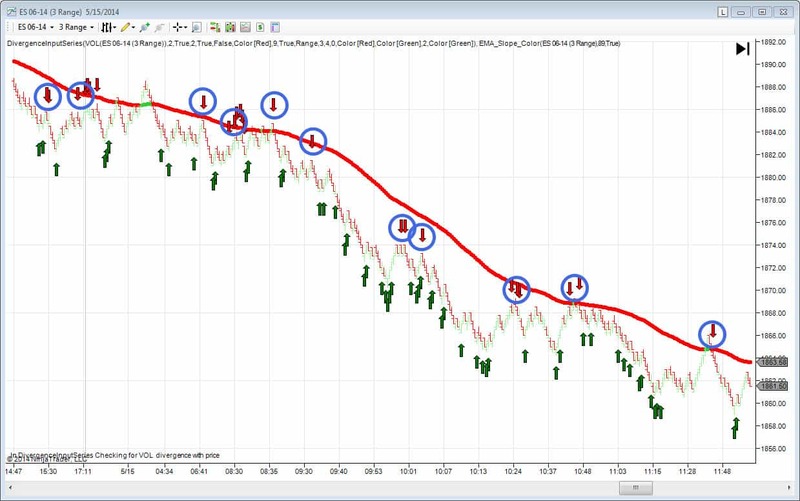 When you begin to understand that simplicity and dynamic components enhance the profitability of any NinjaTrader strategy, your mind becomes open to unique possibilities. Many of the traders from BTTFT.com have incorporated turning times into their overall trading strategies. Using a 2,800 bar look back into historical data (which allows us to adapt as market conditions change) we see that we can "harvest" the times lately that the market is actually turning or trending at. Maintaining a 2,800 bar look back allows us to always be searching into the markets most recent timing patterns as opposed to a static one time analysis that never changes or updates. Conclusion - when building a new methodology or strategy in NinjaTrader - avoid complexity and err on the side of simplicity. It makes the system easier to test, and forward implement. You're also more likely to stick with it, because you understand "why" you are taking the trade. I've seen systems so complex, you weren't sure that it was working correctly or not, as it was nearly impossible to test. Second - build a dynamic trading element into the system that allows you to shrink as the market shrinks, and expand as the market expands. Adaptability is key to maintaining your sanity, and keeping your trading system alive more than that dreaded 3 to 5 month shelf life we've all become accustomed to. I believe many traders, especially 'professorial' types believe the markets are always "efficient", meaning, it's relatively impossible to time any market. They believe that at any given point in time, the market is digesting all available information...and filters that information through buyers and sellers to find the "best price". There's startling evidence to the contrary though, especially in light of the evidence from traders who use market timing strategies successfully to accumulate better than market average profits year after year after year. "After interviewing some several dozen profitable successful traders, I have come to the conclusion that the markets are not random". When looking at market charts, especially daily charts, it's relatively easy to discover days that are "pivot days"...days where the market direction changes and the trend reverses anywhere between several days or longer. What most traders don't know, and what many trading companies don't teach, is that these days, year after year after year, produce reversals out into the next year. That is to say, if you scan back across the previous one or two years worth of pivots, and project those dates forward - you'll see that the past pivot dates of the prior 365, 730 days turn out to be the pivots for the upcoming year. In the above chart, you'll see what happens at the days from the prior year's movements and pivots. Note the percentage of times that the market turns on those dates the following year. This powerful technique is very rarely taught to beginning traders because of its relative ease of study and forward implementation. Many traders are overwhelmed by the rapid inflow of information from live tv feeds, as well as complex assortments of technical indicators - as opposed to discovering years later that it was simply "time" for the stock or index to go up, or reverse. Many veteran traders ascribe these daily bar reversals to large institutional fund balancing...times of year when heavily traded portfolios involving these instruments are sold off to pay for dividends and subsequently liquidated. Whatever the theory behind it, these powerful daily market timing pivot strategies are relatively simple to study, and powerful - statistically speaking- when those dates are projected into the next year's market. Intraday performance of the major equity indices has an observable and cyclic/repetitive/rhythmic structure. Traders that have a few years of experience will tell you that they are waiting for a "10:00 reversal" or are looking to buy "weakness on the 2:15 dip". Are there time periods - statistically speaking, where the market is most likely to reverse - go up or down? 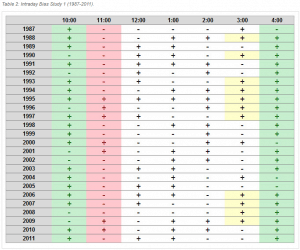 A few years ago, Tradestation did some intraday studies with regards to times of market throughout the day and found some very interesting trends. While a certain degree of price movement will always be random, we'll see that there are biases - "self fulfilling prophecies" that can provide a statistically relevant edge with regards to market timing strategies intraday. As we go back to 1987, 21 out of the 25 events had average gains that were positive for the four o'clock interval, or approximately 84%...far from a 'random' distribution. Moreover as we look closer, it appears that the market 'rests' in the eleven o'clock hour after it's initial morning run towards positive gains. Even closer examination shows that if stocks close higher on average into the three o'clock time period the probability of their moving even more upwards into the next hour is almost seventy percent. Again....far from average. Finally, there's an exponential surge in the equities and futures, as well as forex markets of algorithmic trading. Computers that are programmed to trade for the large funds and investment institutions. This phenomenon has breached the half way point, with over 60% of US and UK funds being traded electronically and programatically by these algorithms. 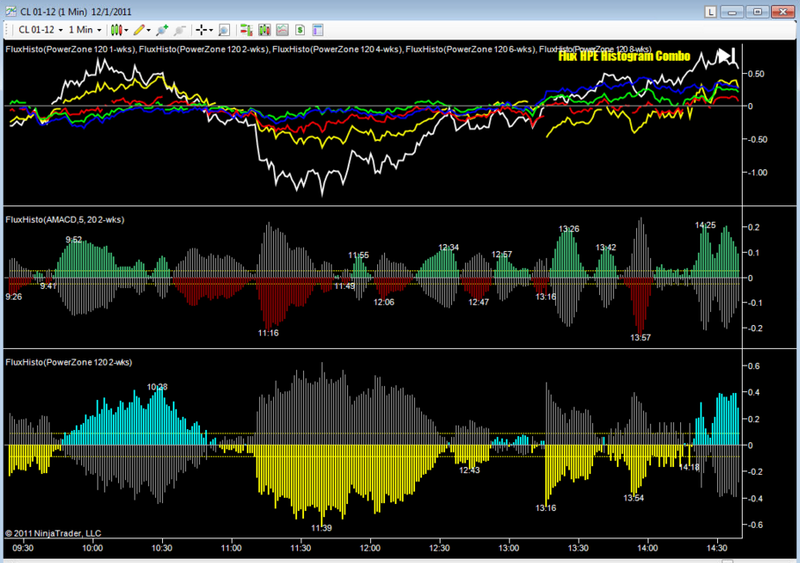 BackToTheFutureTrading.com produced a retail-trader friendly Ninjatrader indicator version (in our opinion) of this data mining software that studies the past records of the averages of any instrument between 1 minute and 240 minutes to discover the times the market has been moving up, or down - consistently - for how long and in what direction. Similar to the Tradestation study above, they've discovered that these sorted times discovered by the data mining software are accurate about 70% of the time out into the future of the market the next day. This allows traders to sit and wait at pre-determined times and wait for moves to form and take off, as opposed to the conventional technique of applying multiple lagging technical indicators to a chart and using that lagging information to base an idea for what the market will do next. In this chart, you can see what the data mining software discovered could potentially happen the next day. In the bar chart on the right, you'll see what actually happened at those times the very next day, some 24+ hours later. 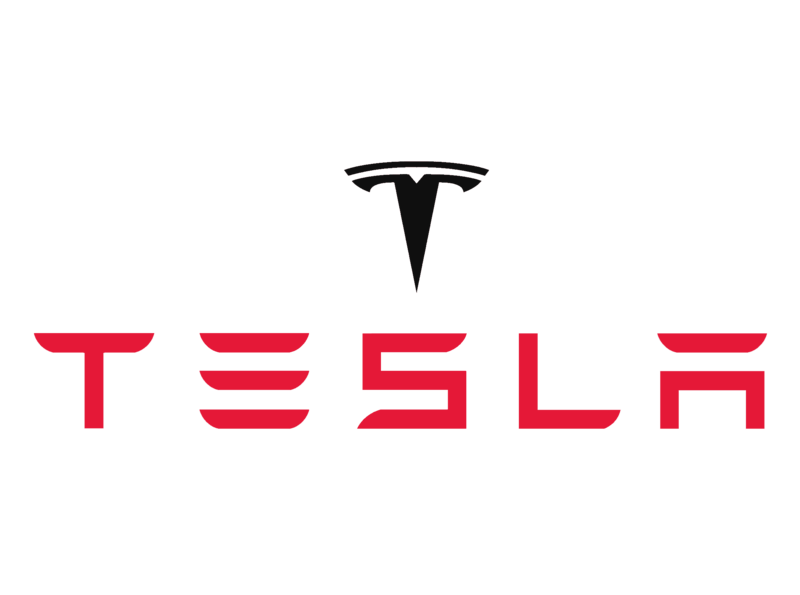 Analysts theorize that the ability to study the markets this way and project turning times forward into the future (a data mining market timing strategy) only increases in efficiency as more algorithms are programmed to trade electronically. To verify this is happening, traders can (using an excel sheet) use the same technique described above for daily bars go back and see what times over the past 2 weeks the market is acutally turning and trending at. After a few hours of study, any intraday trader will discover that there are certain times, on certain days, where the market has a 70%+ chance of going up or going down....defying academics who claim the market cannot be forecast. One trader interviewed by Schwager in his book said this to those academics, "That's why their professors, and I'm making money trading". However you want to address it, the market you trade is not random. We've uncovered these, and even more sophisticated techniques for uncovering "what the market will do next". The more we study these techniques, the more we're convinced that Schwager's traders were right...and deservedly profitable. Most people start out using the free Ninjatrader indicators that come with their platform, only to find that many of them are either too lagging, or too "simple" to use in any robust trading plan. 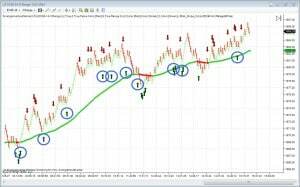 In 2008, we decided that in order to compete with algorithmic traders, and professional institutions with trading computers, we would have to begin to separate ourselves from conventional Ninjatrader indicators, and popular Ninjatrader indicators vendors and begin developing our own tools that were based on things we were actually seeing happening in the markets. This tool was designed to study the historical price bars of any instrument, between a 1 minute and a 240 minute time frame and search for recurring time based price movements in any market. 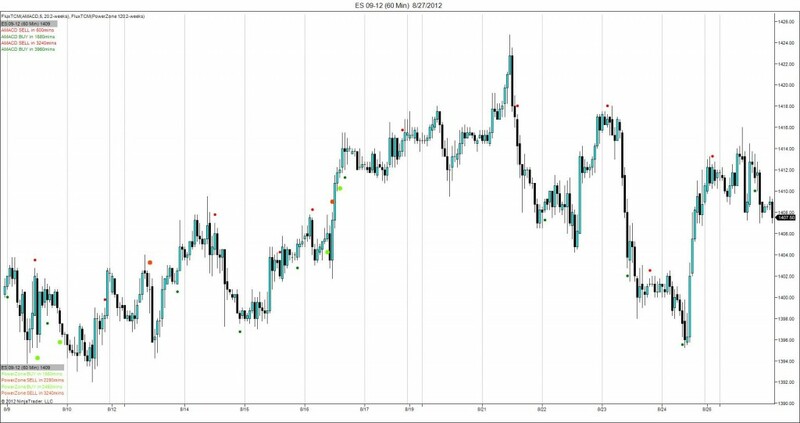 We compared the leading results of this tool against other Ninjatrader indicators, and were surprised to see that the software was able to reveal trades that were coming - trades that hadn't happened yet - but had a high likelihood of happening based on their tendency to appear at certain times, on certain days. We discovered the shift that everyone in the trading communities had noticed - that the "humans" were no longer trading the large institutional accounts. Humans that used to used conventional style Ninjatrader indicators were now passing that authority over to trading computers loaded with powerful programs and algorithms. The institutional traders, the "humans", men and women that were previously using tools such as RSI, Fibonacci retracements, Stochastics, and other similar tools like those found in the standard Ninjatrader indicators list had shifted responsibility over to highly advanced and powerful trading computers with their own indicators - and their own rules - devoid of human emotion and error. We're excited that you found this site. If you're here, it means that you, like us and many thousands of retail traders have graduated from "training wheel" indicators that most people realize don't work over time, to a style of trading that requires you to analyze the market you trade "inside out". You've decided that you're not playing anymore, and have gotten serious about your trading plan and your profitability. Trading time cycles can be challenging. Many of the time cycles that people look at when they are trading are based in very theoretical and murky waters. They end up in pretty subjective pools - either fibonacci or gann....wave theories...trading time cycles can be a very alluring but often times very ambiguous endeavor. It becomes a very subjective thing. When you find a guru in your pursuit of mastering these things, the guru only serves to frustrate you as they apply a constantly shifting set of rules when they are trading time cycles. It's never the same thing twice. When trading time cycles with the Flux indicators, people can be faced with the same challenges. How to remove the subjectivity? How to make it less ambiguous...something that can be back tested, with signals that don't disappear and reappear, or the most carnal of trading time cycle indicator sins - repaint. c. demonstrable statistics above the 60% barrier. Non-subjective statistics. When you are trading time cycles with the Flux software, it's important to remember that. I forget, quite frequently, to check across a full range of time frames in the markets we study. I personally when watching markets have an aversion to going past 3,5 minute time frames. But see why that's a self harming characteristic in this example. Do you see the consistency of the cycles as they appear on the candles? Each one of the marker times were known a week in advance. Their color. Which candle they would plot over or below. We want to see the confluence of signals near or close to actual market movements as a guide. That's what we want to see. These trading time cycles coming in on different time frames with the same consistency. First, we have to pass the "eyeball" test. Are the forecast time cycles actually coming in at the highs and the lows that we were waiting for? From these charts, it would appear so. Objectively though, does the evidence hold up? Or are we deluding ourselves like so many other traders to when they are trading time cycles? What most traders who are looking for time and price confluence in their trading don't realize, is that you don't have to study Gann for dozens of years to decipher his cryptic writings. 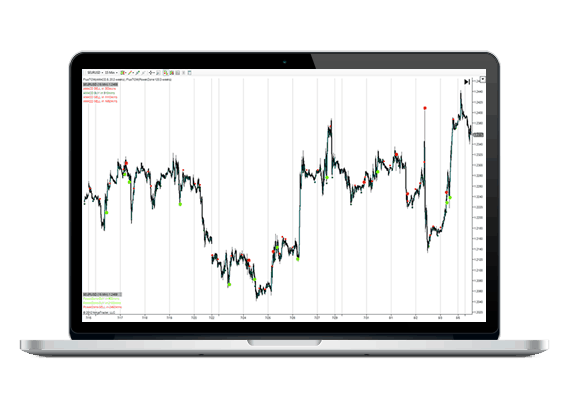 Time and price predictions and confluence points are discoverable, with a haunting accuracy - through data mining algorithms programmed into Tradestation, NinjaTrader, and Metatrader. See these time and price predictions on this Emini S&P Chart, and quickly determine where the time and price predictions "intersect"
Do you see around 1403, where we are coming into the red lines, at the same exact moment we are getting a signal ? The red lines, are Flux FPC lines, and tell us the "Price" of the time and price prediction component. It is a measurement of hundreds of pivots at that price, over an analysis of thousands of historical bars. 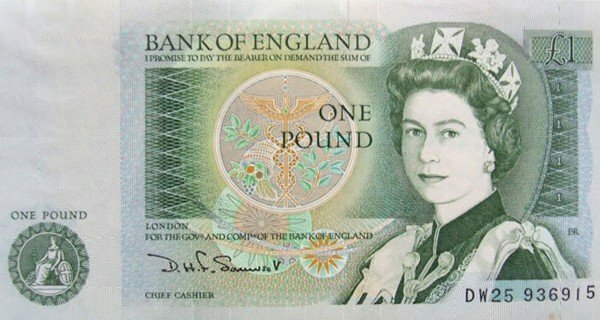 But the good news is that this time and price prediction - is based entirely on the work of your computer, using your software's data mining algorithm. The other good news is that these levels are available to us, long before the market opens. You can use the time and price predictions- and anticipate them - vs. reacting to levels on the fly and in the market that may , or may not, be significant. "The market should go down, NOW...and not continue upwards". When trading higher time frames, traders often look for higher time frame confirmation to identify trend, and establish the dominant trade direction of the markets. Many traders when studying the higher time frame, often use traditional lagging means of analysis on the higher time frame itself, using a multitude of older techniques. These higher time frame techniques can include trend line identification, position of the market above or below a major moving average, volume coming into or going out from the market, or tests of market support or resistance at the higher time frame. What's interesting to note, when analyzing the higher time frame with the Flux data mining software, is how these lagging, and older means of identifying trend are often times too late, or much later into the trend turn than is desirable for traders. You have to wait for the turn, to confirm the turn, and on a higher time frame that usually means the trade is long into profitable territory - and traders begin chasing the trend and increasing risk. Every marker on this chart - every dot - has nothing to do with price action on the screen at the time. "Hey, I've analyzed several thousand bars of data, and determined the following times coming up in the future as likely candidates for repetitions of these major runs". How often do these events repeat? 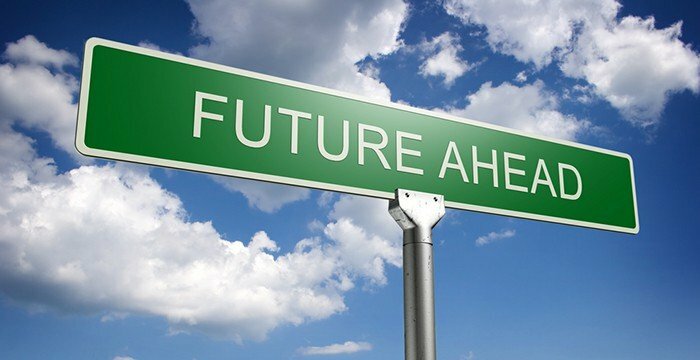 How often are the times relevant, in the future? Look at the chart for yourself. 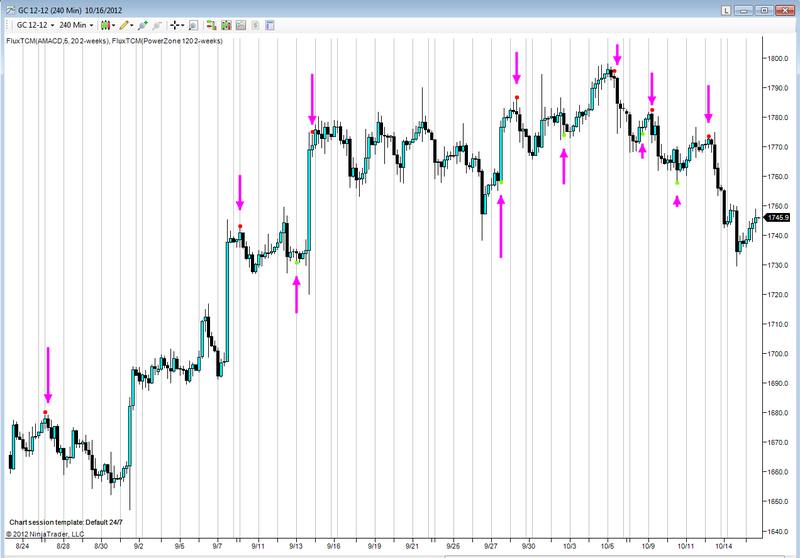 This 60 minute Emini S&P chart is clearly a higher time frame than most traders that day trade look at. But we clearly see on this higher time frame that the overwhelming majority of the Flux times were actual trend births, and trend deaths. Knowing these exact times put you in the very beginning of the trend, the majority of the time. With statistics and probability on our side, it would then be possible to identify trend on the higher time frame BEFORE THE TREND BEGINS, and enter small positions early - or take all of the signals that come on the lower time frame, in the direction of the anticipated higher time frame trend. For more information, and to receive forecasts for multiple markets in advance and attend our weekly webinars, CLICK HERE. 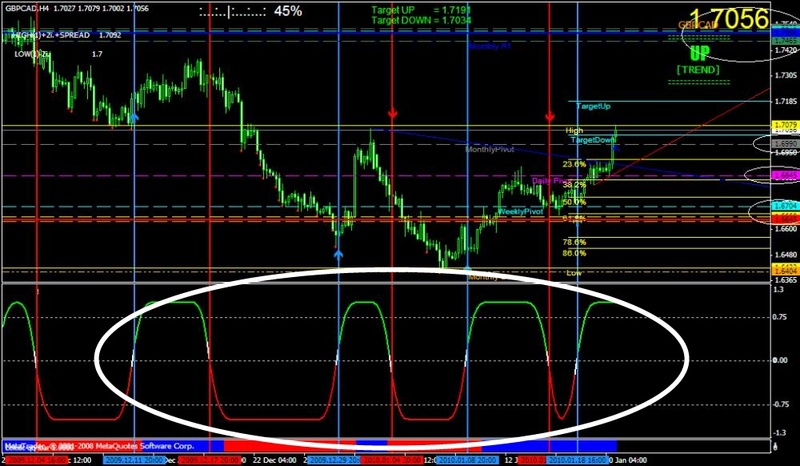 Predictive indicator development traditionally hinges on the idea that a real time market analysis can be made with a real time indicator like a Shaff Trend indicator, or something from the Ehlers series of indicators that have a built in cycle component. However, the markets in the last 2-3 years had fundamentally shifted from a human centric trading model to a machine driven trading model, and predictive indicator development has done little to adapt to the "trend", no pun intended. After purchasing the indicator you see that play out in real time, and realize that it's impossible to back test any strategy. Most predictive indicator developers find that anything with a lagging component is prone to exceedingly high ratios of late signals, or false signals, in response to and by nature of the fact that they are calculating based on X bars of past in market data. However smoothed or added, predictive indicator developers need to step back and reassess in light of the massive computer trading environment that exists today. But as with all Wall Street feeding frenzies, there are dangers. Some critics say that when less experienced hedge- or mutual-fund traders use the software they've bought from Wall Street, they inadvertently expose their trades. How? Canny traders, mainly those who trade on behalf of big banks and brokerages with the firms' capital, may be able to identify patterns of algorithms as they get executed. "Algorithms can be very predictable," says Steve Brain, head of algorithmic trading at Instinet (INGP ), the New York City-based institutional broker. 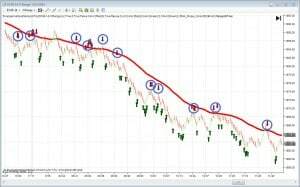 This predictive indicator technique yields considerably more confident results, as we are studying the market itself and watching for patterns that indicate where and when the trading computers are most likely to fire off their trades. Knowing these times, and prices, gives the smaller trader an opportunity to be in the order flow when these algorithms fire their orders off. Using a predictive indicator that measures "what just happened" with any type of a lagging component puts the user at a severe disadvantage. I liken predictive time cycle indicators to the example of a mailman, or a postman, near my house. Time cycle indicators as they exist in the world today - in the lagging sense of the words, would have you measure for cycles in the following way. They would have you listen for the mail truck with a half way decent microphone. It would compare the background noise of your neighborhood to approaching vehicle's engine noises. It would compare the sound coming through the microphone to the known sound of your postman's engine. As it got closer, it could make clearer determinations about the source of the noise. Ideally, the best measurement could be made when the truck was closest to you - or right at your house or property. This is a very rudimentary way to compare modern time cycle indicators and how they use lagging averages and look backs to determine if there is a cycle present, or not. 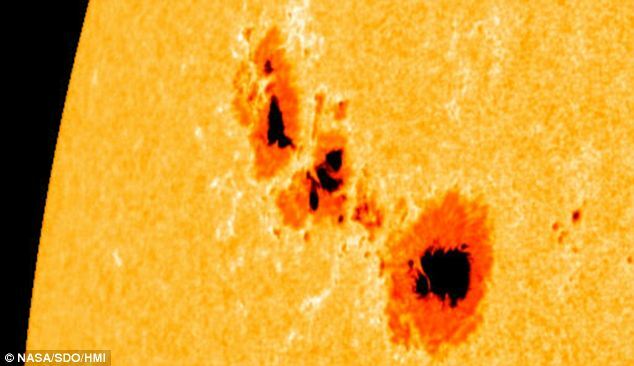 In the end though, you must wait for the comparisons and averages to get really close to the actual event. Only after the mail is delivered, or after the move has occurred on your charts can you say, "yes, the time cycle indicators worked, or didn't work". We approach time cycle indicators from a completely different perspective. We look at the postman from a purely statistical standpoint. A time cycle indicator should approach the problem from the same angle, and you'll see the results of the difference in the diagram below. We could do any one of a number of things with this data - especially in the light of our time cycle indicators question. It's not hard to see, that there is a clear behavioral pattern - or cycle - taking place here. It would be foolish, for someone to go outside and wait for their mail at 8:00, for example. Or, when an important letter was needed, to wait until 2pm to go outside and check the mail. There is clearly an optimal time to base our activity on, in the context of the statistical data of our "postman" time cycle indicator. 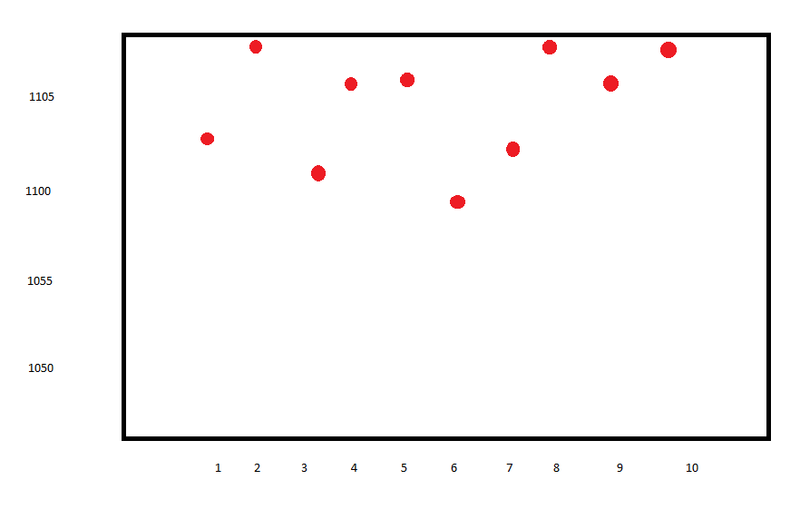 You can begin to see the statistical significance of the cluster. There is a window we SHOULD be watching for the event to occur, based on observable real world events, or behaviors. Low and behold, we see cycles that emerge statistically in the data. "Mail deliveries" where the market is buying, and selling, with repeated regularity in the market that we are watching. In this case, we're not measuring real time and guessing if something could be a cycle or not. It would be akin to our example above, and "listening" for engine noises that sounded like the Jeep we were waiting for that had the mail in in every day. Maybe the noise wasn't a Jeep. Maybe it was a Ford, or a Gremlin, for that matter with a modified exhaust. Listening for these time cycle indicators with lagging indicators like MACD produces false results that completely ignore the premise of the experiment. There are TIME BASED CYCLES that exist in the market. If that's the case, than we should see repetition of behaviors at those times, across a statistically significant period of events, or a large enough data set to be convinced. Moreover, if we use this strategy with a forward looking or predictive set of time cycle indicators, than we should see the result we're expecting occurring at those times, a statistically significant number of times (ie more than half). In this example, much like our "red dot" chart, we see what happens to the trend around the times that we are waiting for trend reversals. Not based on an internal market shift, but based on times that were known before the market opened. Overall, across a wide range of markets and time frames we find this phenomenon occurring using Flux time cycle indicators that establish behavior patterns before the market opens, and sees those trend and momentum moves play out 60-70 percent of the time after the fact. There are choices when looking to use time cycle indicators in your trading setups. You can use traditional lagging methods that more or less guess at what is happening, or tell you what "just happened", or, we can use the power of our computer's processors to examine thousands of events in an statistical analysis that reveals events that recur with enough frequency so as to alert us to higher probability trading setups and directions.